Satisfies your craving for a cozy mystery! 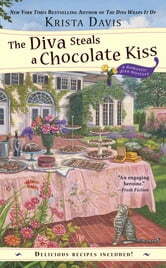 The domestic Diva, Sophie Winston, is back and this book is delicious! 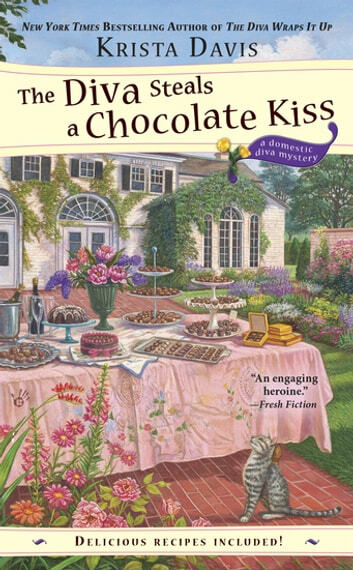 While hosting the Amore Chocolate 60th anniversary celebration at the family mansion, Sophie stumbles upon a body. This leads her on another adventure as she helps to track down the killer and sort out the family business. On a personal note, Sophie has quite the trio of men in her life....leading to some interesting entanglements as well. As always, her competing "diva" Natasha is stirring up some trouble of her own! A fun read from the "letters from the readers" that begin each chapter to the grand finale-this keeps you guessing throughout! The descriptions throughout the book will make any chocolate lovers taste buds water and you are rewarded with delicious recipes in the end! It's the 60th Anniversary of the local chocolate company and while Sophie is managing the event things go terribly awry when a dead body turns up and the patriarch of the chocolate family goes missing! A new detective and an old flame detective show up on Sophie's doorstep with accusations when another dead body turns up. Looks like Sophie is going back into the sleuthing business if she is going to clear her name and get to the bottom of the mystery. Another great addition to the Diva series, we get a more in depth look at the psychology of Natasha's character which actually fits in well with the development of her character. As the mysteries unravel and untwist, we get a closer look at several of the characters in the story which fleshes them out more fully. I'm looking forward to the next installment in the series.